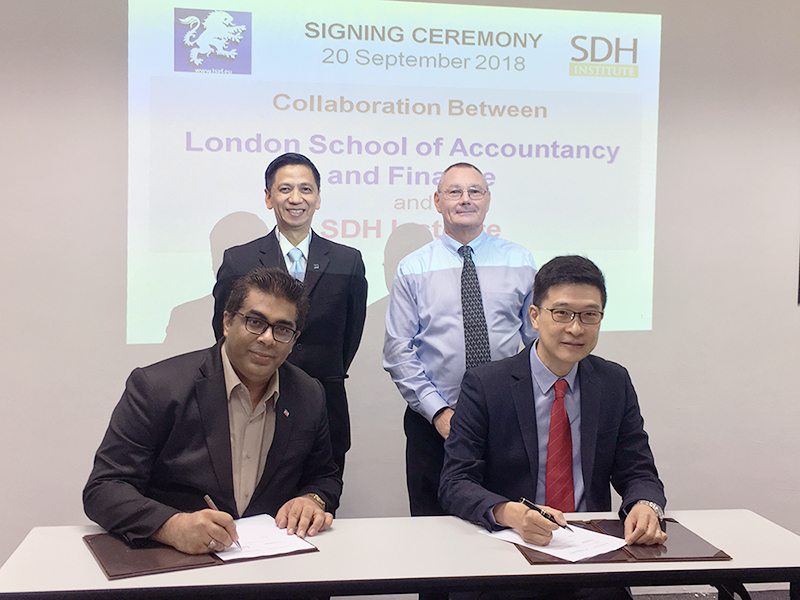 This afternoon, a Memorandum Of Agreement Signing was held between SDH Institute, (represented by Mr Chia Tuck Keong, Managing Director, and Mr Fred Utanes, Senior Vatel Lecturer) and London School of Accountancy and Finance, Indonesia (represented by Mr Manish Gidwani, CEO) at the SDH campus. 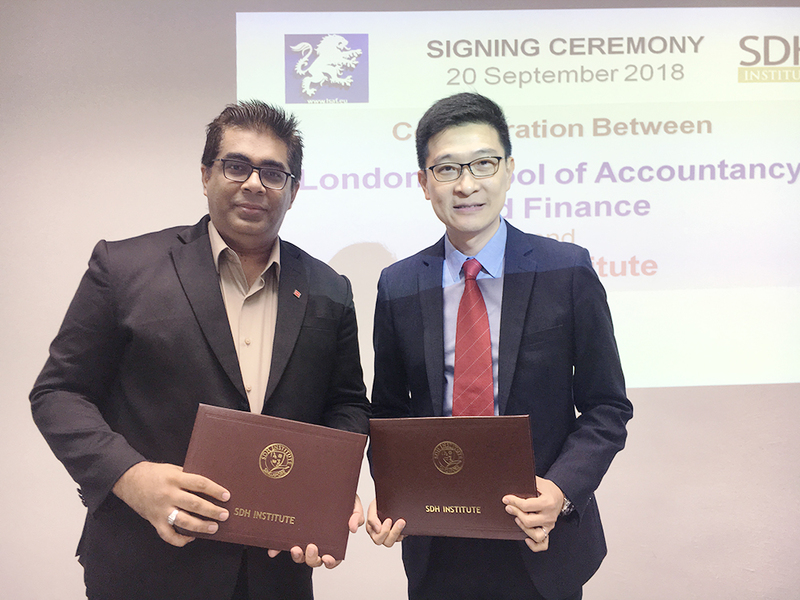 This partnership between SDH Institute and LSAF Indonesia will provide greater and more holistic learning opportunities for both SDH and LSAF students. 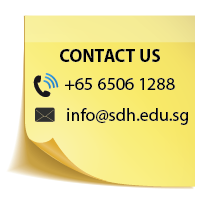 By forming global partnerships and fostering relationships with other institutions, SDH Institute constantly pushes its academic boundaries which is critical for students to acquire professional and business knowledge and skills, training, and inculcate the spirit of entrepreneurship. Students from both institutions can now pursue higher education with an enhanced learning environment and a greater access to global educational resources in the field of finance and tourism. Mr Manish Gidwani, CEO of LSAF, was warmly welcomed to the SDH campus by Mr Fred to the main lecture room. 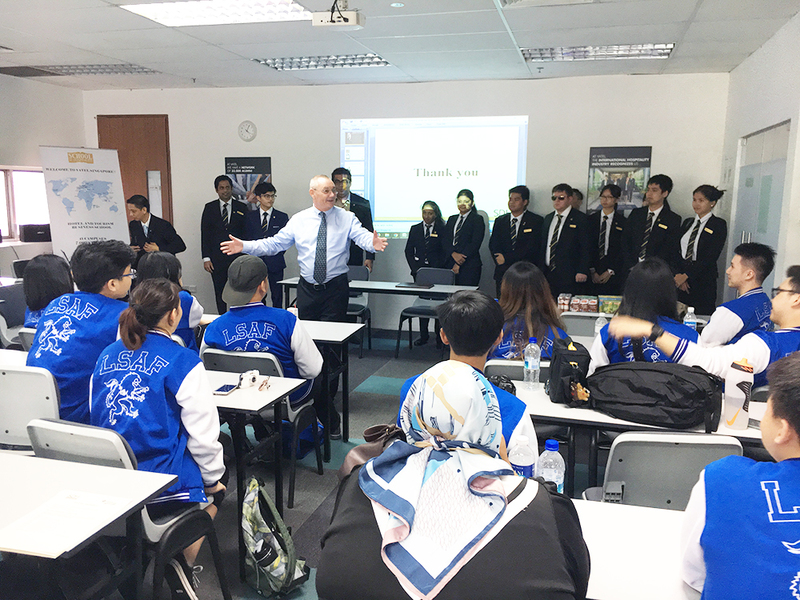 Mr Fred facilitated an interactive presentation where he emphasised greatly about SDH’s career-oriented learning, vibrant campus life, as well as how SDH and Vatel Singapore graduates are assimilating fast into the dynamic and fast-paced hospitality and tourism industry. Mr Barry Hayes, another Vatel lecturer and Mr Craig Albrightson, Deputy Head of SDH, also joined in at the later part of the session and was present at the signing. 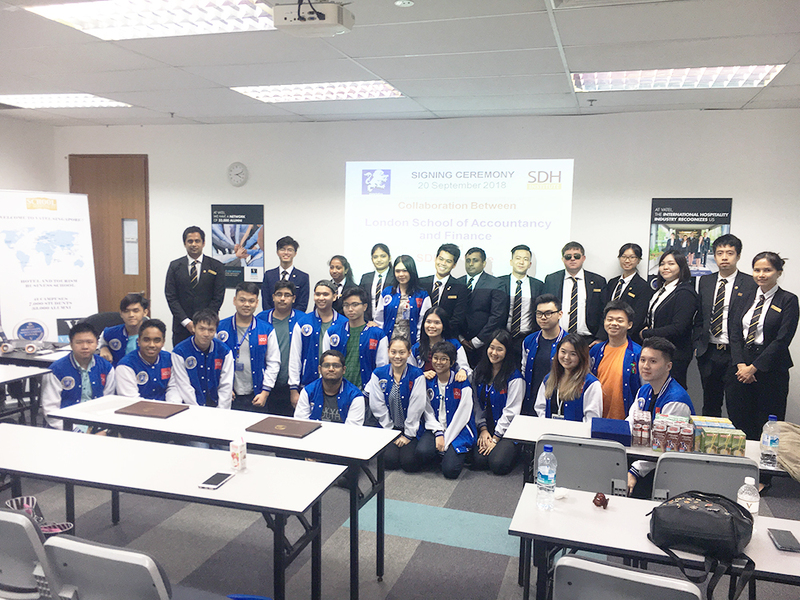 After which, Advanced Diploma students arrived to have an informal networking session with the LSAF students. It was a relaxing atmosphere as everyone, including the lecturers and programme heads, engaged in cordial and light-hearted conversations with drinks in their hands. The session ended with a short campus tour led by Mr Fred. He introduced the Mr Manish and his LSBF students to SDH’s state-of-the-art facilities such as our lecture rooms, student lounge, and hospitality training laboratory. We would like to extend our well wishes and appreciation to LSAF and we look forward to a successful working relationship.